The Airports of Thailand’s board has accepted a proposal to move all of the country's domestic flights back to Don Muang Airport. 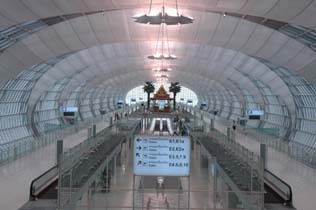 The domestic carriers submitted the proposal because of the high costs associated with operating at the newly opened Suvarnabhumi Airport. However, the International Air Transport Association warns that such a move would hurt Bangkok’s potential for becoming an aviation hub. Transport Minister Admiral Thira Haocharoen said further talks would be held this month before the decision is finalized.